One of the most identifiable and influential movements in music history, it was very short lived yet the albums that were left behind are completely timeless. Twenty years on the question "what exactly was Britpop?" remains surprisingly difficult to answer, even if it did act as a forerunner for everything from Cool Britannia to modern indie rock. Filling the void in British music left behind by "Madchester" bands The Stone Roses and The Happy Mondays, from 1993 to 1997 the movement transformed an industry dominated by shoegaze and grunge into a smorgasbord of punk rock, glam, new wave, and traditional 60s guitar pop. During that time, Britpop albums regularly reached platinum status and shattered sales records with songs that had the capacity to be relentlessly optimistic or as comically cynical as this line from Blur's chart-topping 'Country House': "He's reading Balzac, knocking back Prozac / It's a helping hand that makes you feel wonderfully bland." 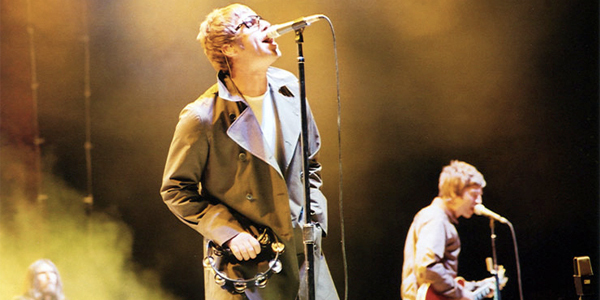 The result was a genre that combined fervent innovation with influences from the country's vast musical heritage such as The Beatles and The Smiths, and in the process instilled so much confidence in the British guitar scene that when Oasis guitarist Noel Gallagher said "We're the best band in the world" it was hard to disagree. The ten albums in this list each played a part in securing Britpop's status as one of the most diverse and exciting music scenes in recent memory. For variety's sake, bands are limited to one album each, while the genre's huge scope means that a number of worthy acts inevitably miss out  Kula Shaker, Sleeper, and The Boo Radleys, to name a few. In each case, these albums are the best examples of why Britpop remains a genre that fans and critics can't help but revisit time and again.